Hey ~~~ , it’s been a month since i post something in my blog . I think i’m getting lazy >.< hahahaha . Actually this week is my final exam time , so i think i won’t write too much XD . Btw since last month i’ve been playing Monster Hunter in my PSP . Do you ever played Monster Hunter in PSP ? or any other console ? If you never played that game and you have a PSP , i think you should play that game ^^ . That game is really a great one . In Monster Hunter , i like using bowgun to hunt , but sometimes i use a katana too . 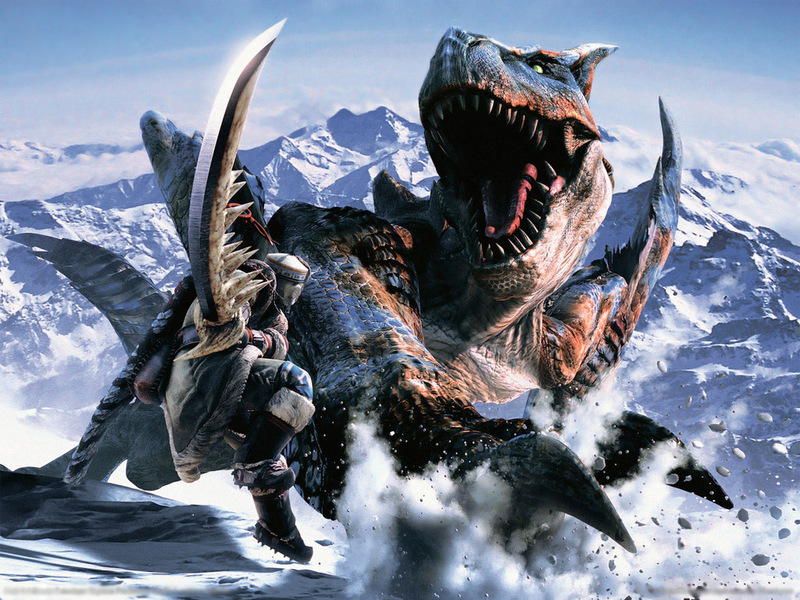 Actually in Monster Hunter there are many kinds of weapon , such as: Greatsword , Longsword , Heavybowgun , Lightbowgun , Bow , Hammer, Huntinghorn , Gun and lance , and there are also Sword n Shield and Dual Sword. Personally , i like using Heavybowgun and Lightbowgun . but i dunno if i will meet a monster that can’t be defeated by bowgun . For now i will use this one hahaa 8D. 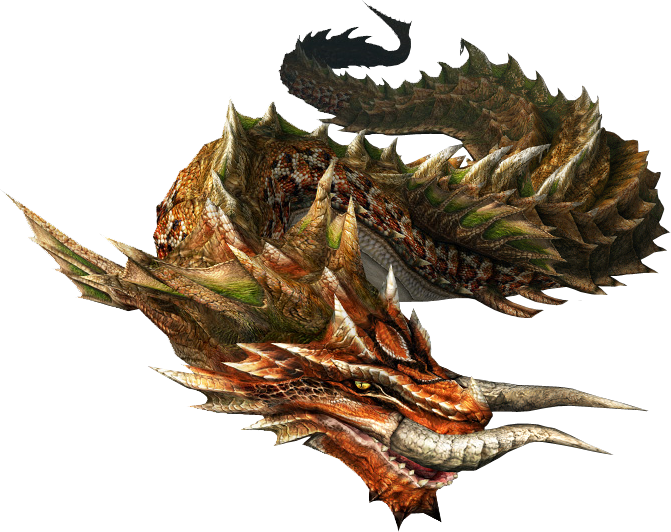 This dragon is Tigrex . It is one of the monster that is hard to be beaten using bowgun . 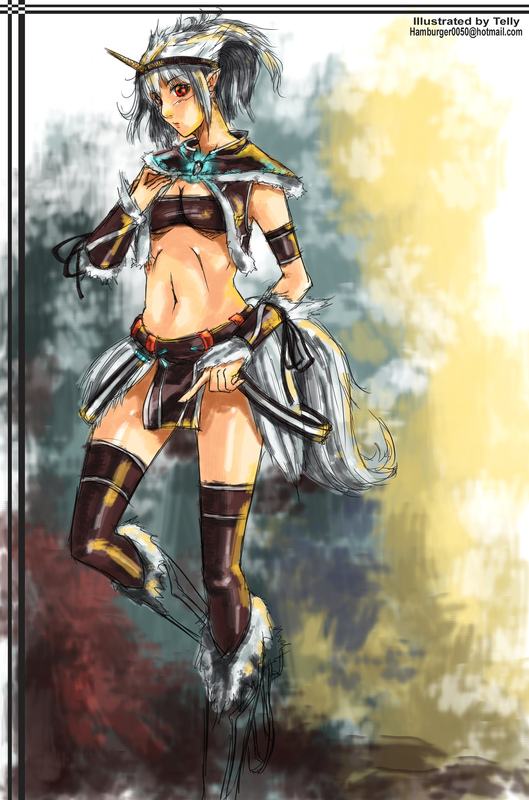 Oh yeah , all of this picture is taken from deviant art . 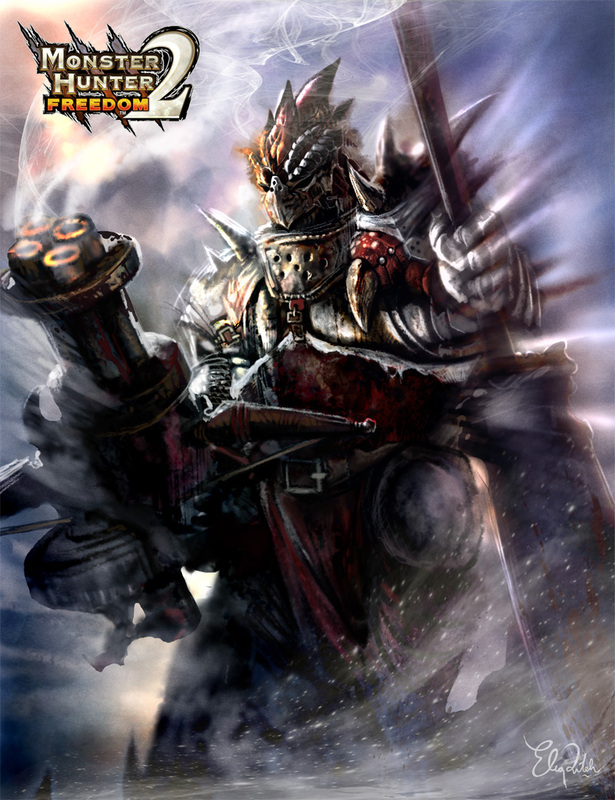 This entry was posted in Game and tagged Action, Game, Hunter, Monster, Portable, PSP, Unite. Bookmark the permalink.